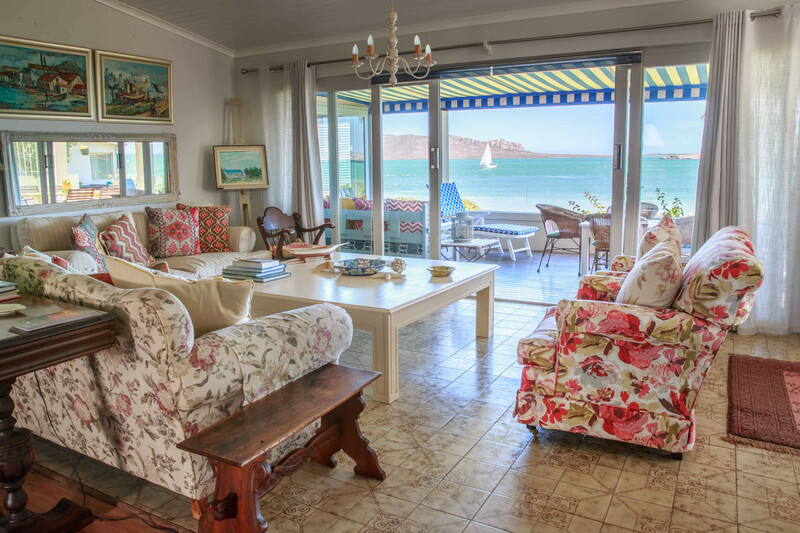 A cottage, situated at the water's edge, that magically mixes old with modern and still reflects the old character of Langebaan. 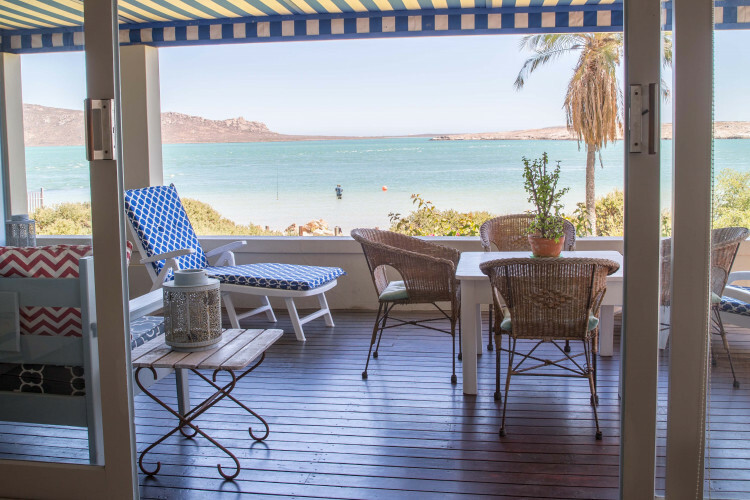 Marjerique Beach House is a self-catering house located in Langebaan, a small lagoon town on the Cape West Coast. 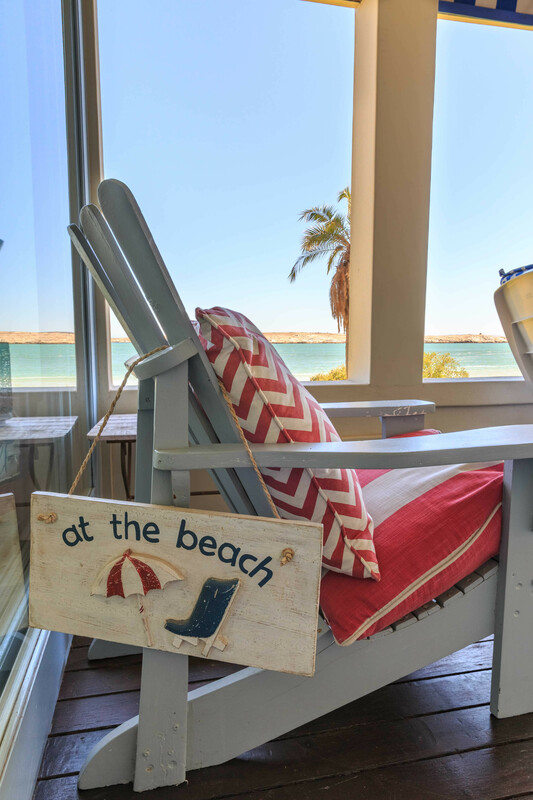 Situated an easy hour’s drive from Cape Town, Langebaan provides an ideal base from which to explore the West Coast and the bounty of excellent attractions in the area. 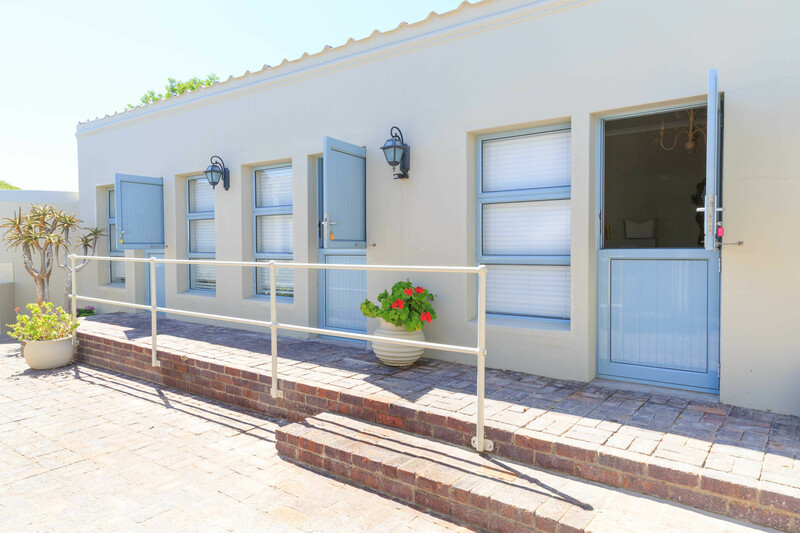 This 5 bedroom house is able to accommodate 10 people and has 3 bathrooms. 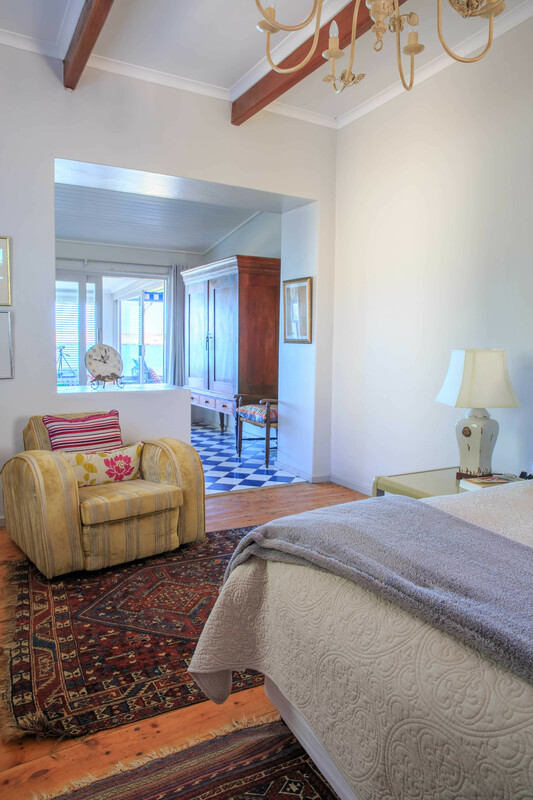 The main bedroom has a king-size bed and an en-suite bathroom. 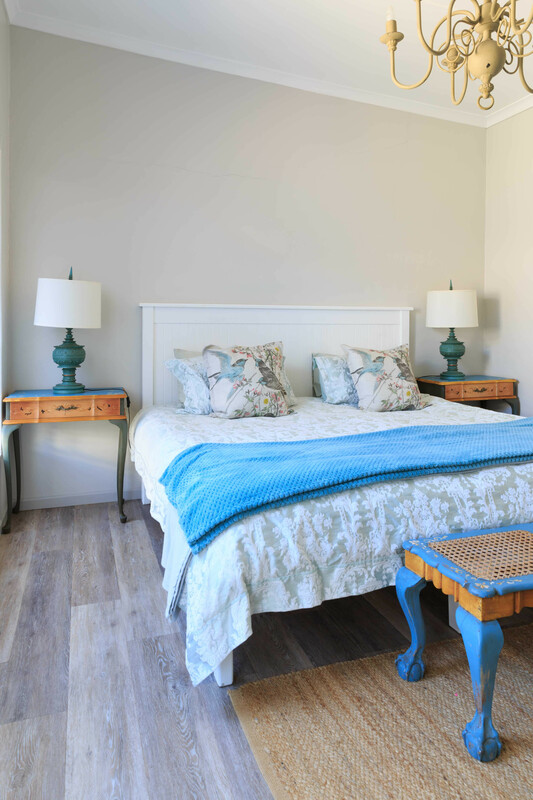 The second bedroom has a king-size bed, while the third bedroom has a queen bed and en-suite bathroom. 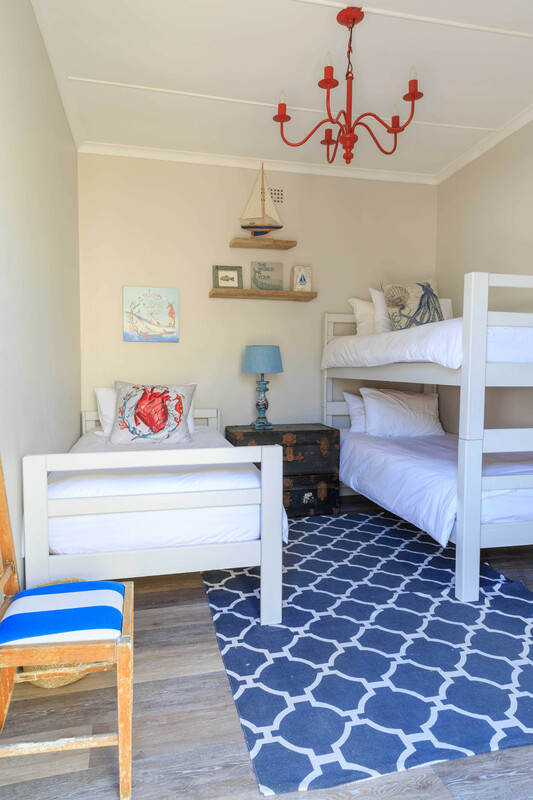 The fourth bedroom has a double bed, and the fifth bedroom has a single bed and a bunk bed. 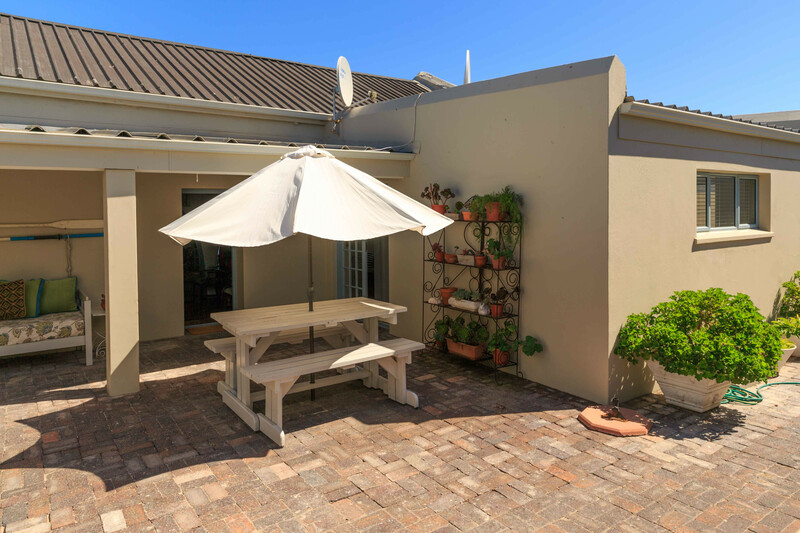 The house also comprises a kitchen, lounge, sun room and dining area. 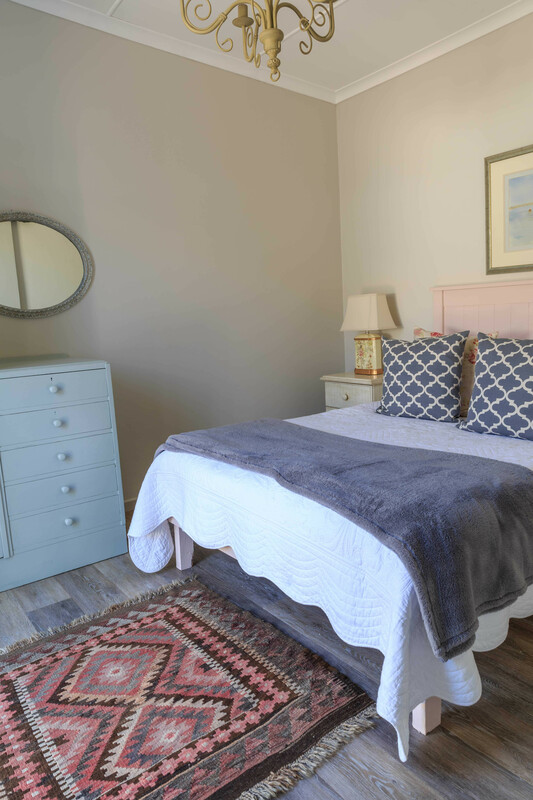 The kitchen is well-equipped and features a stove, fridge-freezer and microwave. 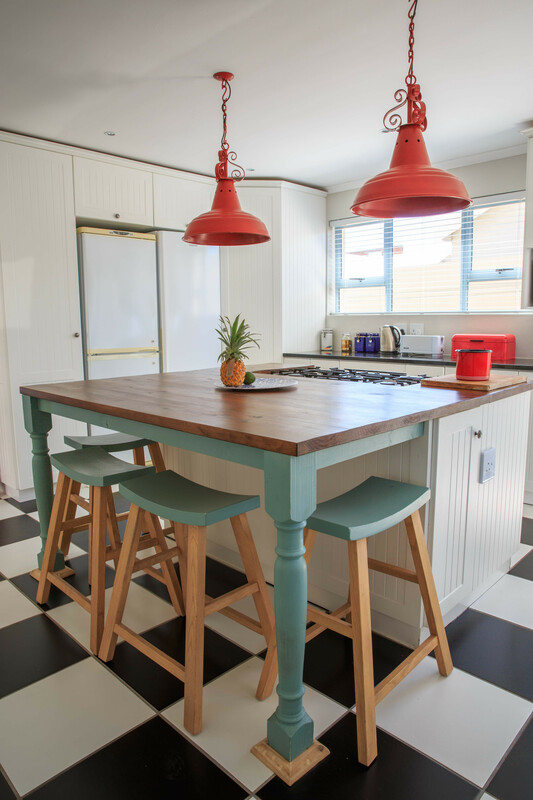 There is also a breakfast bar with 4 stools. A dishwasher and washing machine is available for your convenience. 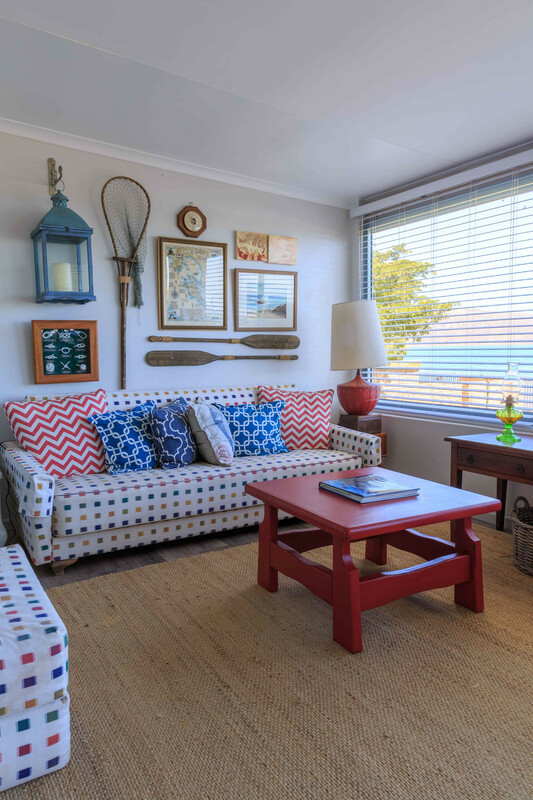 The dining area has seating space for 8 people, while the lounge has a comfy lounge suite and a TV with a full selection of DStv channels. Wi-Fi access is also available. 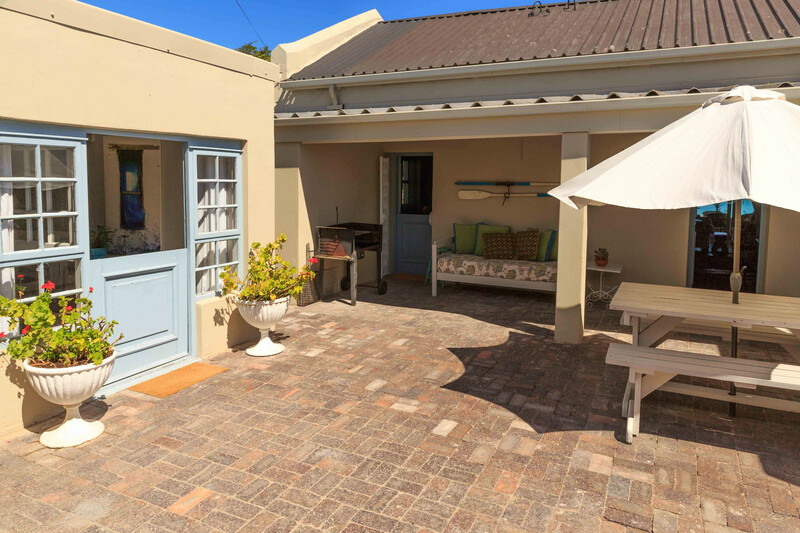 The house features outdoor braai facilities and there is off-street parking available for 3 vehicles.